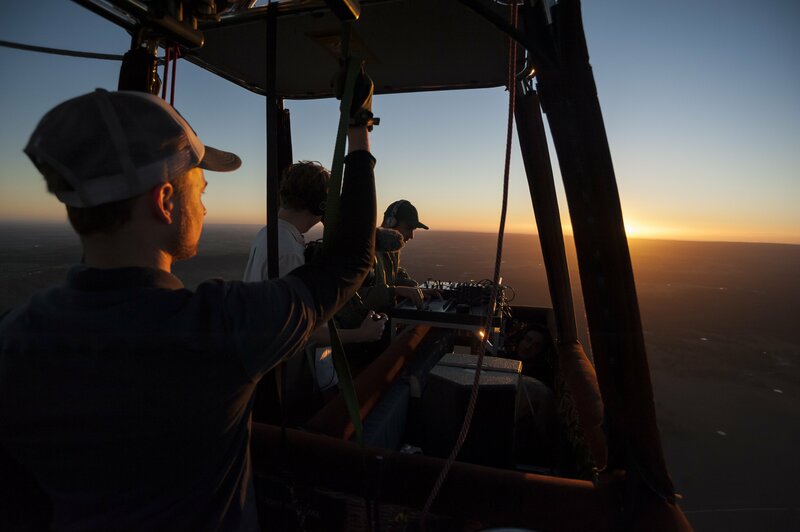 To celebrate the launch of Surface Pro with 4G, Microsoft partnered with DJ and music producer, Basenji, for an Australian first – a live music set in a hot air balloon. Using the power of the Surface Pro with 4G connectivity, Basenji took his entire studio into the clouds to produce, perform and post a custom mix to SoundCloud, all while being suspended from the hot air balloon at 3,000ft. Basenji performed and recorded the full mix using the Surface Pro then posted the 35-minute mix to SoundCloud, taking full advantage of the 4G connectivity on the device while up in the clouds. A video of the experience is available on YouTube, while the exclusive “UP IN THE AIR MIX” from Basenji in the hot air balloon using the Surface device is also now available to listen on his SoundCloud. “It was great to be able to take my studio to a completely new environment, one I never thought was even possible. The Surface Pro was perfect, the 4G connectivity was excellent and it was such a great experience. Playing an unreleased track at the start of my set from 3,000ft up was really special,” said Basenji. The Surface Pro with 4G is the ultimate laptop. With the versatility of a tablet and now with the addition of 4G, users can stay connected anywhere, anytime. With 13.5 hours of battery life, advanced connectivity and performance, it is the thinnest, lightest and most powerful Surface Pro ever. This next generation laptop has everything: versatility, performance, design, and now ultimate connectivity. “Straight after my set finished, I needed to convert the file I created, jump online, download some software, convert the file from one format to another before uploading directly to SoundCloud and it all worked in a matter of minutes while we were up in the balloon,” added Basenji. “The capability of the device is quite incredible; I’m really impressed”.